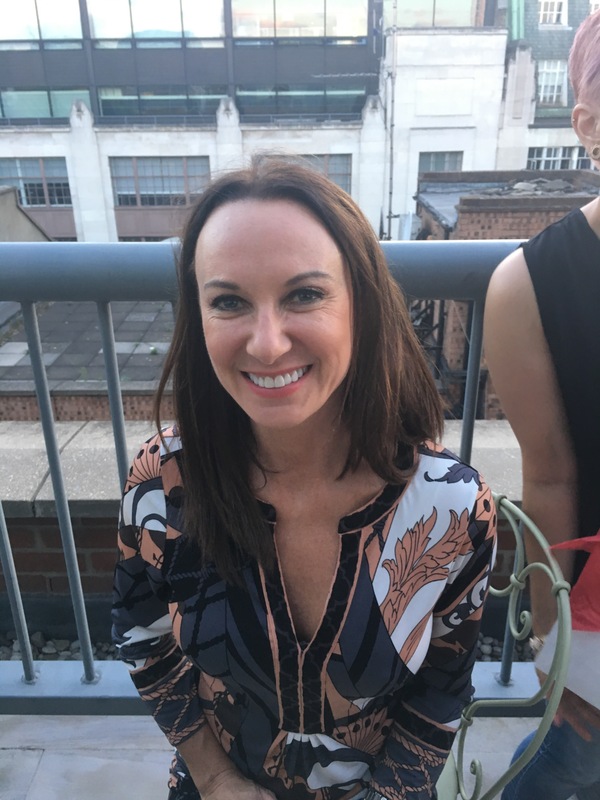 We’ve all been there – questioning our sanity when it’s a toss up between going out and spending money – or staying in and using that money towards makeup purchases. 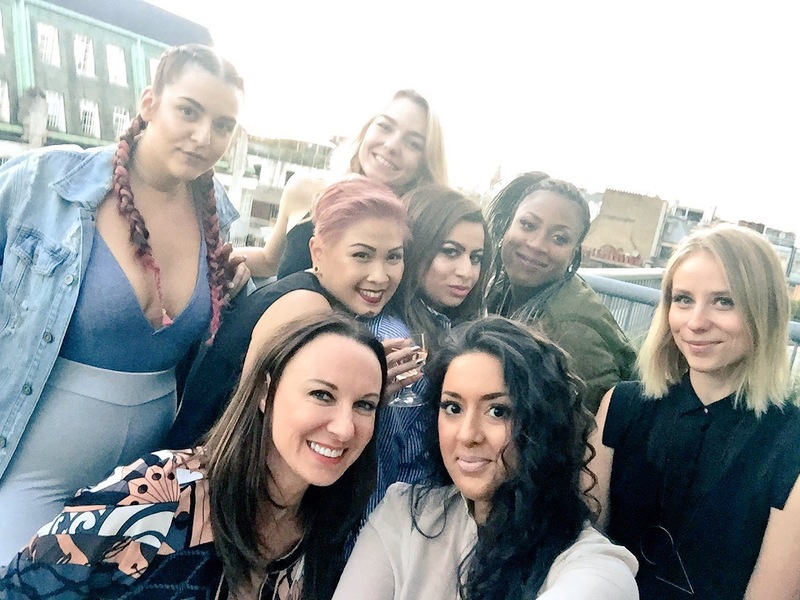 If you are at least 5 of these, your a makeup addict and if your all 10 like me – well then someone help us! 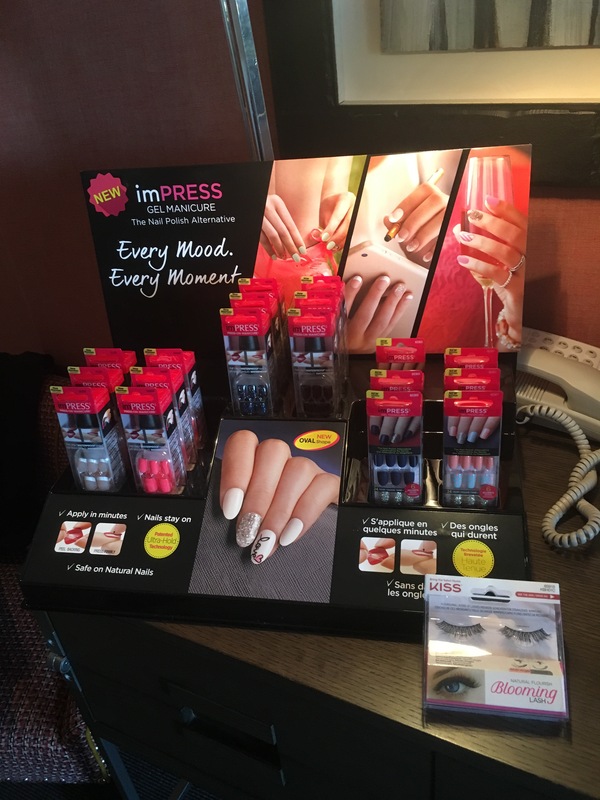 Let’s talk about lashes….KISS lashes and nails…launch party! September brings Autumn- great fashion- woolly jumpers, deep purples and plums and also very simply, more time…. 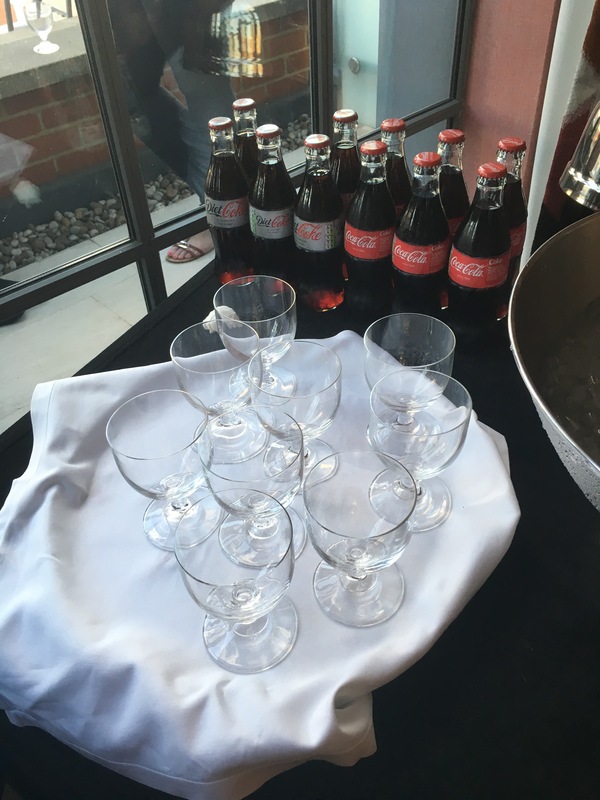 More time in which to blog once more for you lovely’s- my post this time is going to be telling you all about a great event I was lucky enough to attend this week- the KISS launch party! 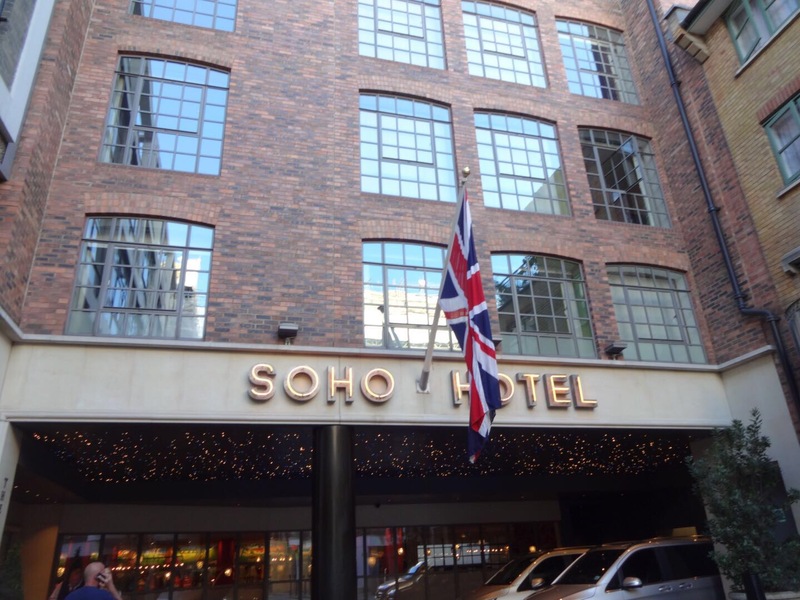 It was held at the beautiful soho hotel in London and I attended with my gorgeous girlies Annie, Jamie and Lee! 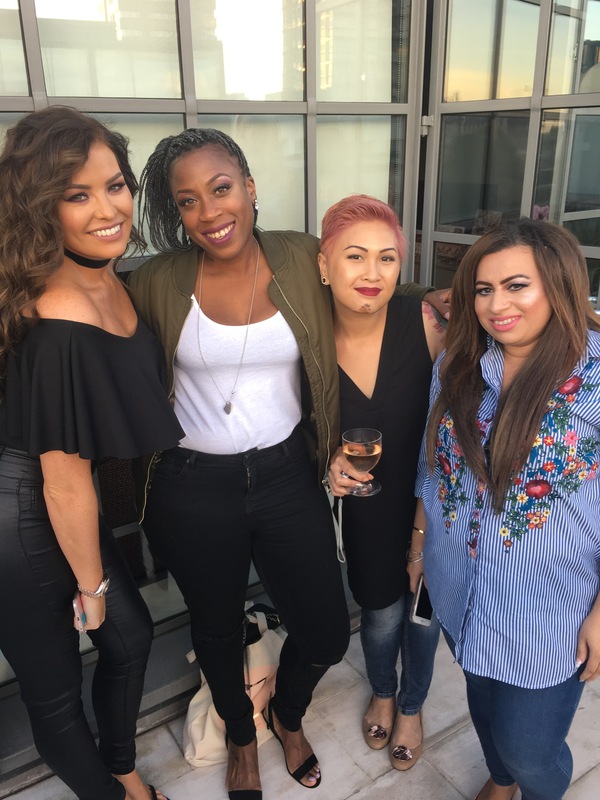 The event was held in what seemed to be the penthouse suite of the hotel meaning it was gorgeous and had amazing views of the sunset. 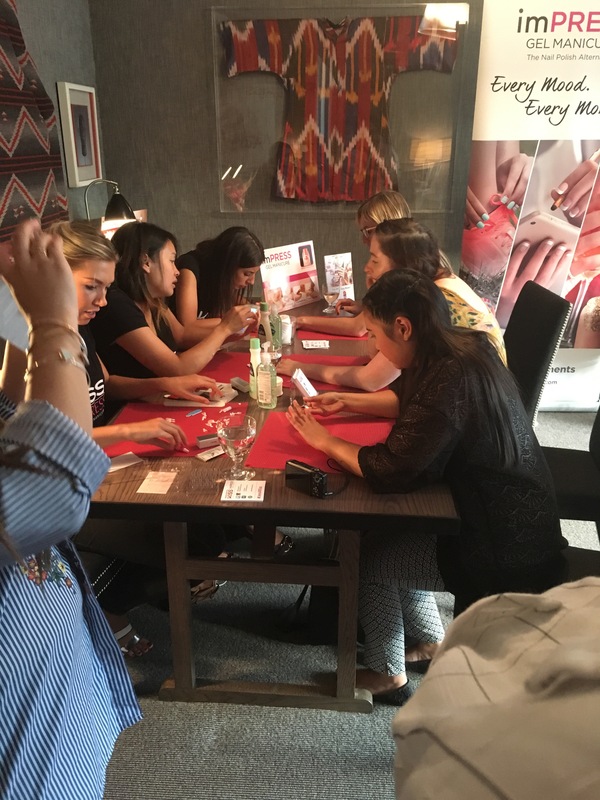 We were spoilt with canapés and free flowing wine while we had the chance to try some of the gorgeous kiss lashes and press on nails! 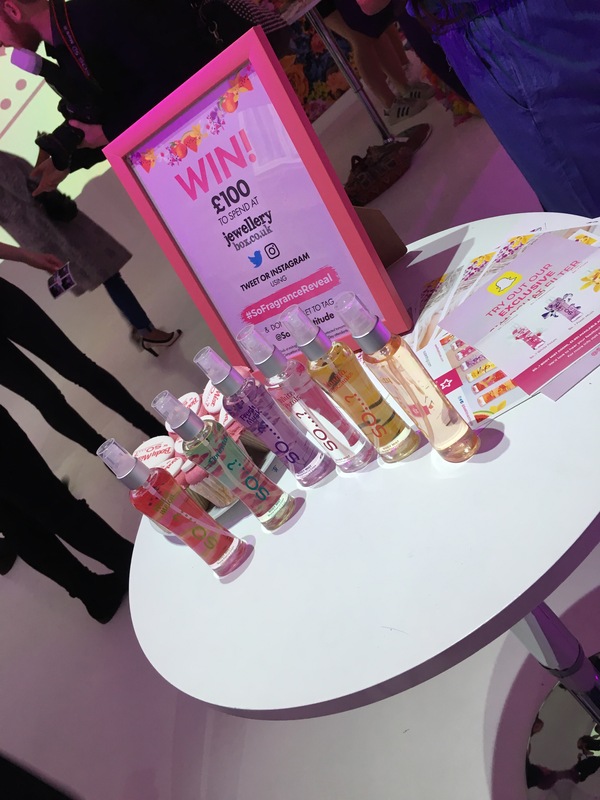 Jess Wright from towie was also at the event and it was great to meet her as well as some other amazing bloggers here are some pictures from the evening! 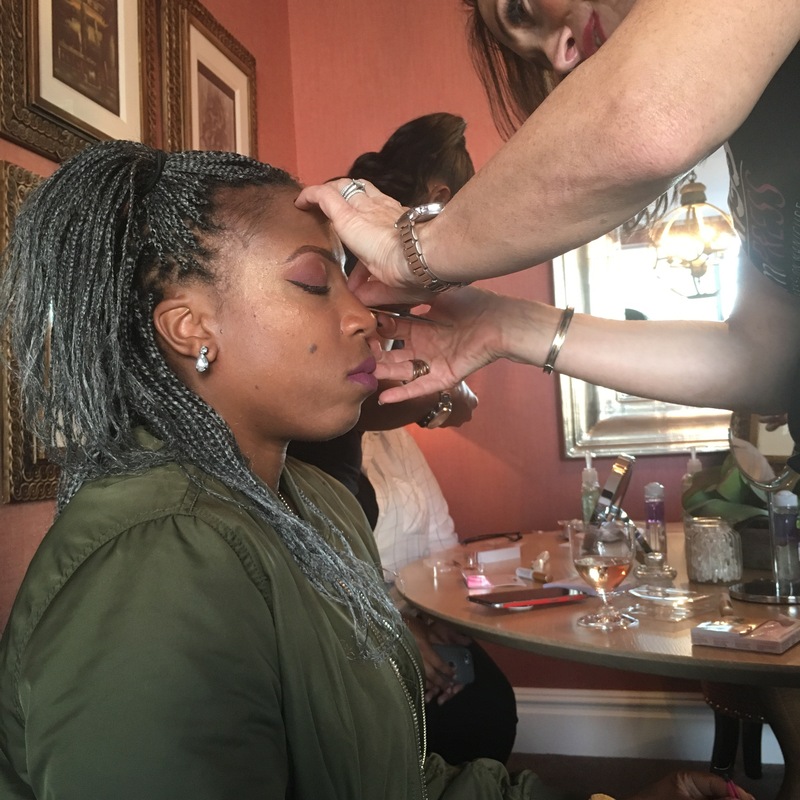 There were so many different lash styles and we were able to sample a few and have them fitted by expert make up artists. 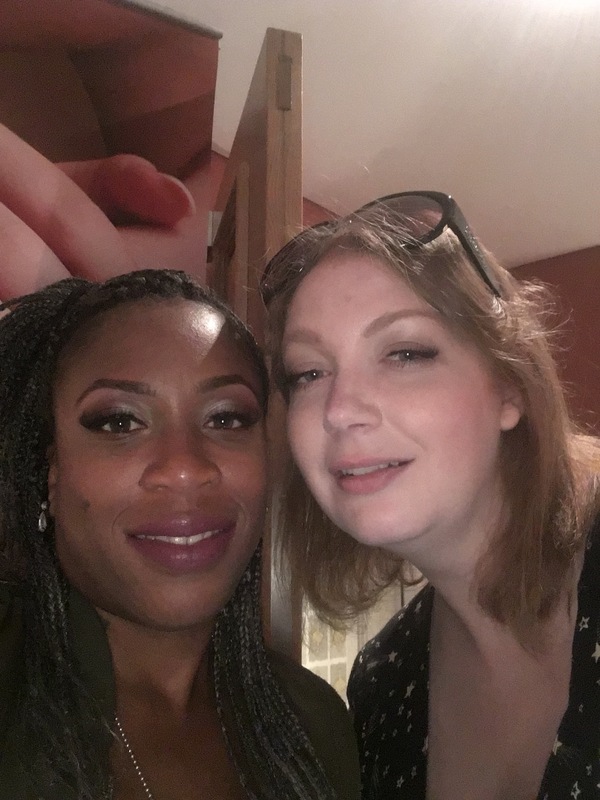 Now I love lashes which don’t have a large band meaning they fit perfectly to my eye shape and I can’t feel them or see them in my peripheral vision. 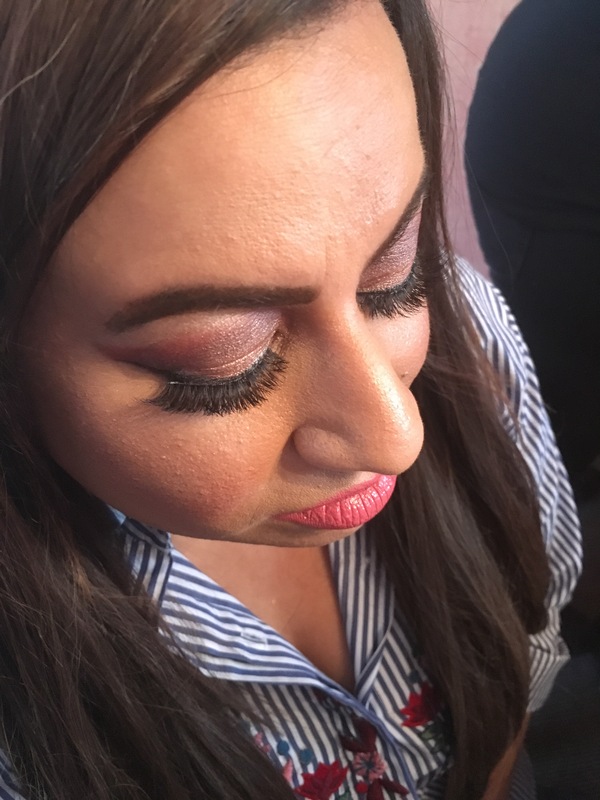 I chose peony lashes and these are super wispy (my favourite type of lashes) and light on the eyes. 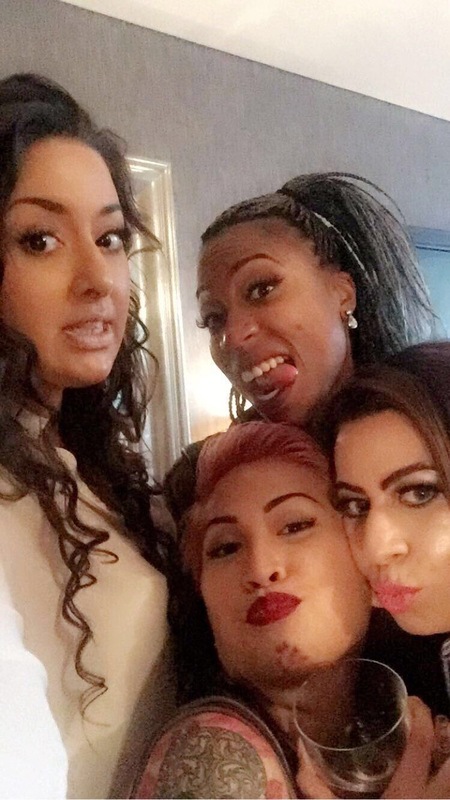 I actually love them! 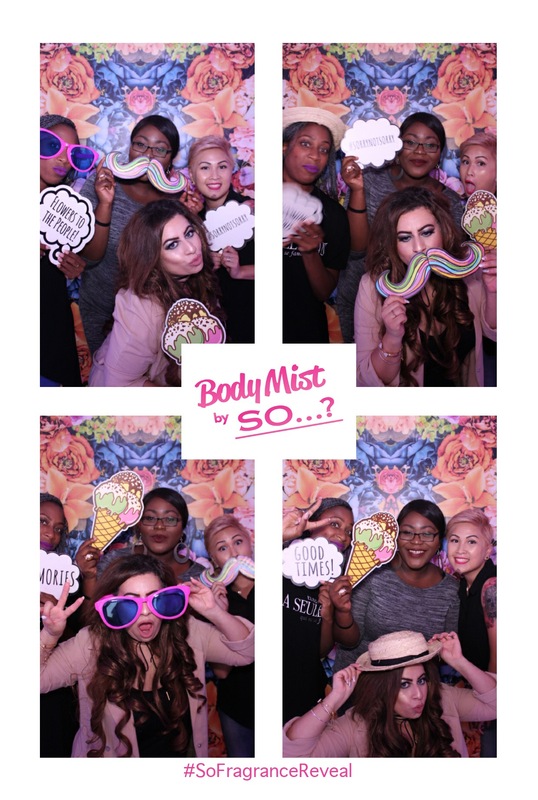 This event was showcasing their new blooming lash range- the lashes in this range are beautiful named daisy, peony and Lily! 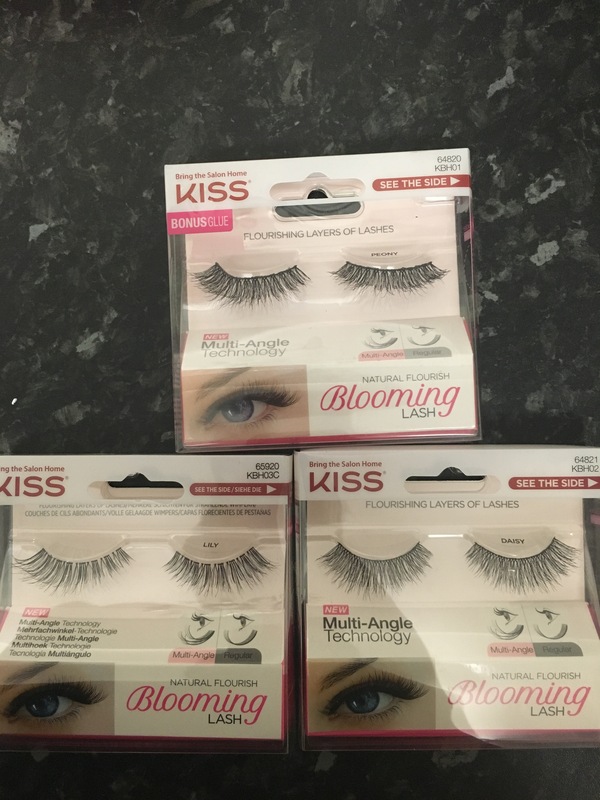 I love super wispy but natural lashes so I was reccomended the peony lashes. 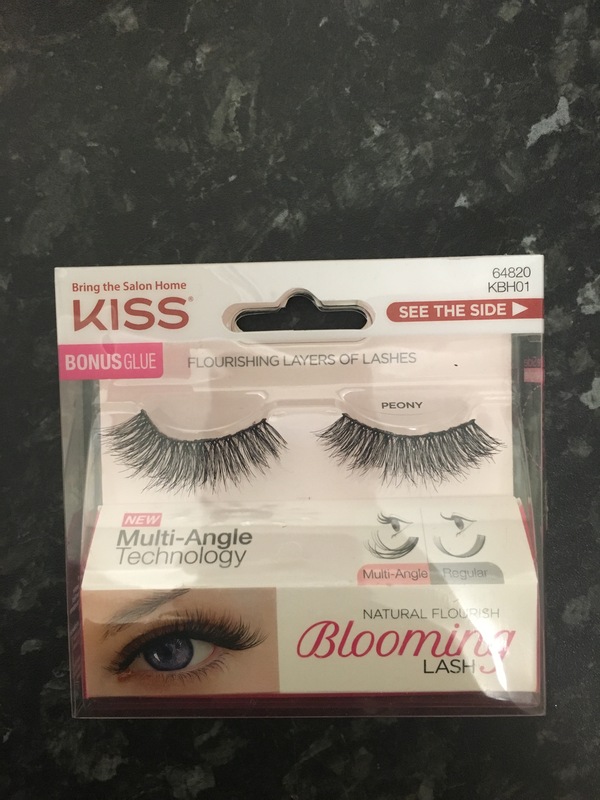 The lashes in this range are layered for maximum effect – this gives the illusion of a double stacked lash butwoth a single lightweight band! Perfect for me! 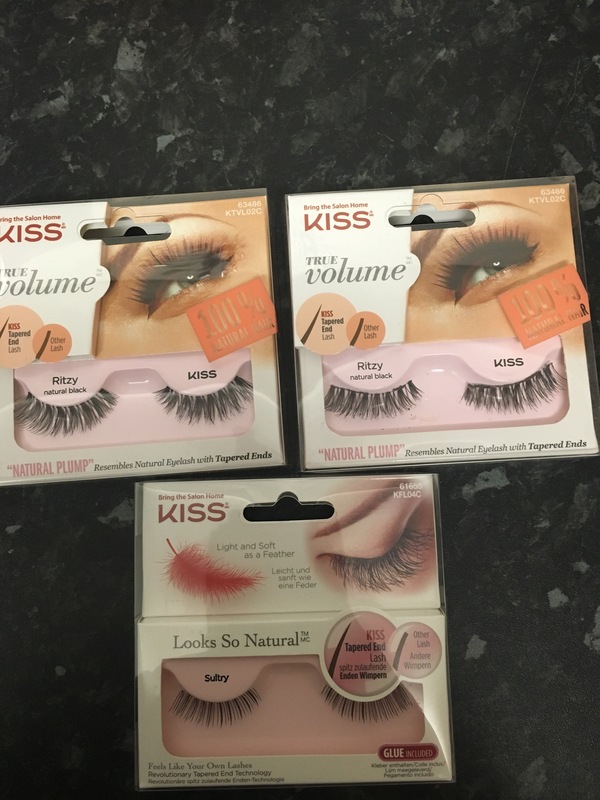 For people wanting a more voluminous look they have the volume range with the ritzy lashes and at the other end of the scale of you want something a bit more natural go for the so natural lashes in sultry! 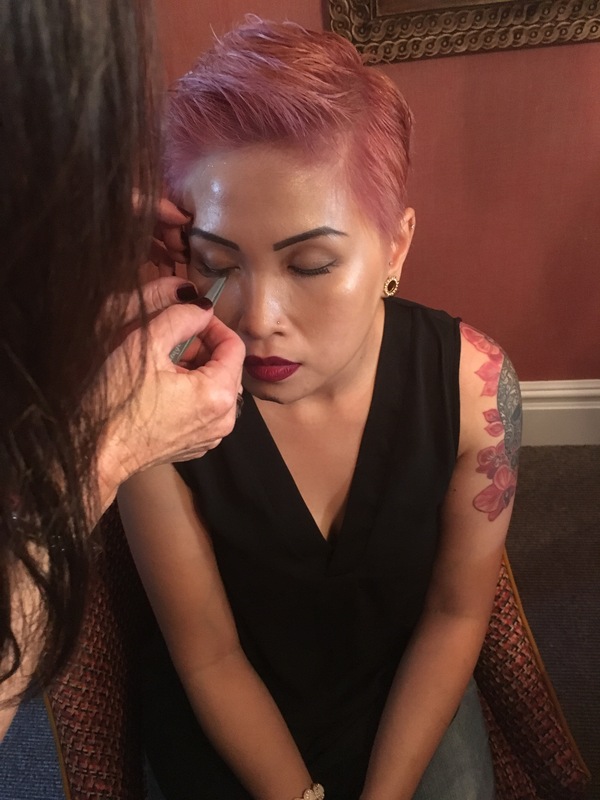 My gorgeous friend Lee has an east Asian eye shape so for her the natural sultry lashes worked amazingly! 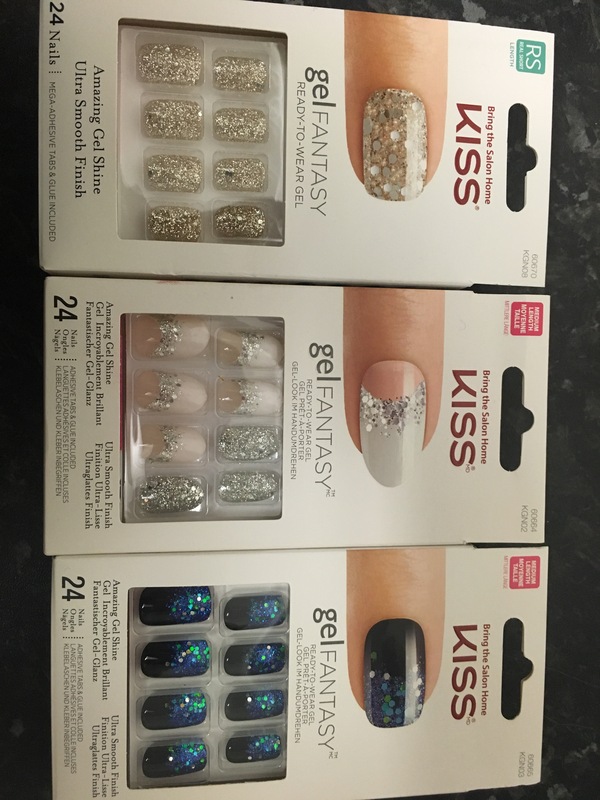 We were treated to a manicure using kiss impress press on manicure acrylic nails or kiss gel fantasy nails. 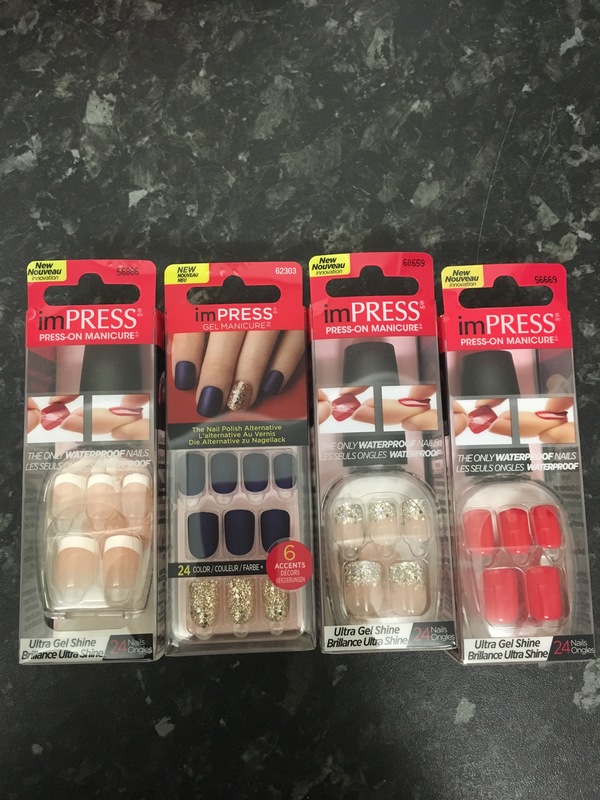 which are waterproof and long lasting! 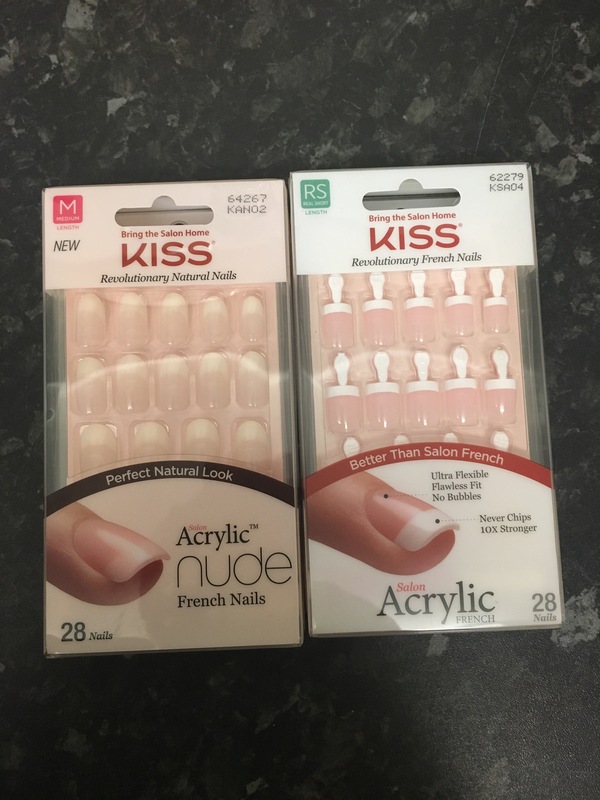 You can apply these yourself and they come in a range of designs from glittery to sparkly to French they have a high shine with a pre cured too gel and can be worn for up to 7 days! 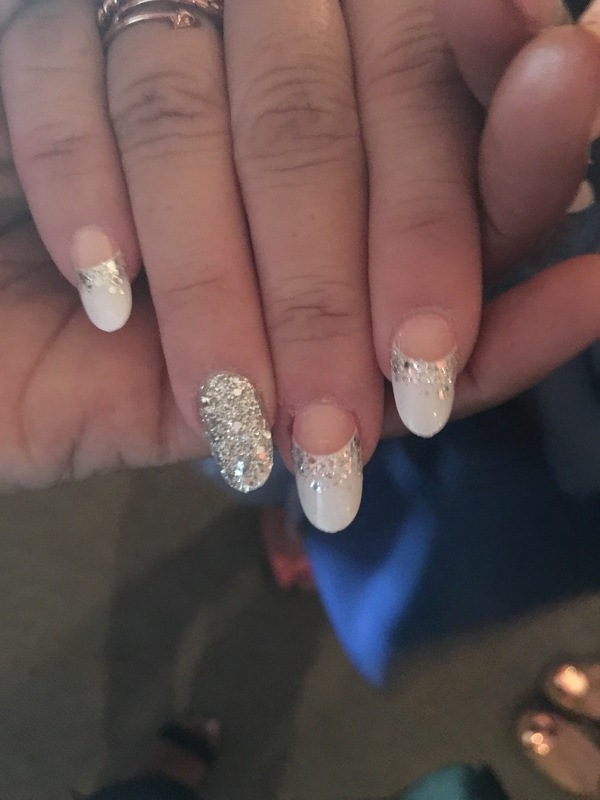 Here are the lovely Annie’s nails after her manicure!